Introduction: Electronic thermometer has countless applications. Not everywhere can we use the standard mercury thermometer, for example, due to its size, frailty or the need to measure from the distance. The advantage of electronic thermometers are also small size and heat capacity of probes, faster response of the digital display and elimination of toxic mercury. Its output also can be used to electronically processed, record the measured temperature, alarm when temperature is changing or work as a thermostat. circuit LM35: To build an electronic thermometer, i used LM35 integrated circuit, linear temperature sensor in TO92 - 3 pin housing that provides voltage proportional to temperature in degrees Celsius on its output. Conversion of the output voltage is 10mV / °C and can therefore be used directly to display on the digital meter. As the display, ordinary multimeter or digital panel meter can be used. 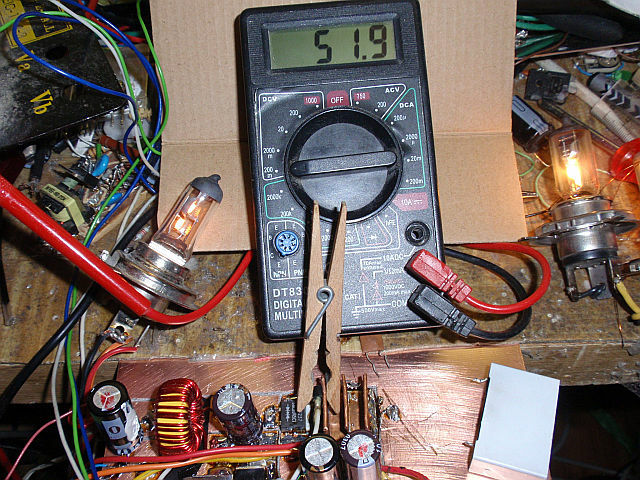 The thermometer can also be built into the multimeter. If matter that the displayed value has to be divided by 10, can be panel the meter or multimeter tightly associated with the meter modified to move the decimal point. If we build thermometer as a removable extension of multimeter, you can use a resistive divider, and thereby obtain transfer 1mV / °C and display in °C. With a conventional multimeter, which has a range of 200mV to 0.1 mV resolution, we get a thermometer with a resolution of 0.1 °C. LM35 can be used in addition to building an analog thermometer with analog meter. 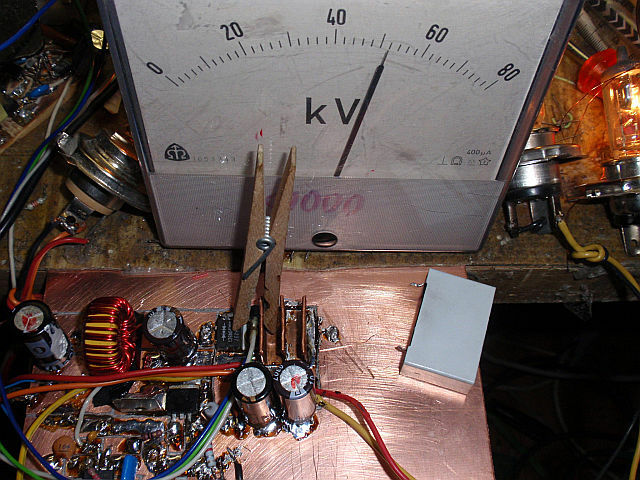 I have added the circuit suppression capacitors 100n, because when using thermometer near EMI generation electronics there were deviations of up to 10 °C. The thermometer I use, among other things to measure the temperature of heatsinks and switching power converters, and so it was not able to use it without these capacitors :). LM35 voltage range is 4 - 30V (recommended voltage up to 20V). The power supply I used is a 9V battery. Consumption is only about 50 - 100uA, allowing up to thousands of operating hours with one battery (!!!). Some versions of LM35 have a limited temperature range, eg LM35C, LM35CA and provides measurements in the range -40 °C to +110 °C, LM35D between 0 °C to +100 °C. 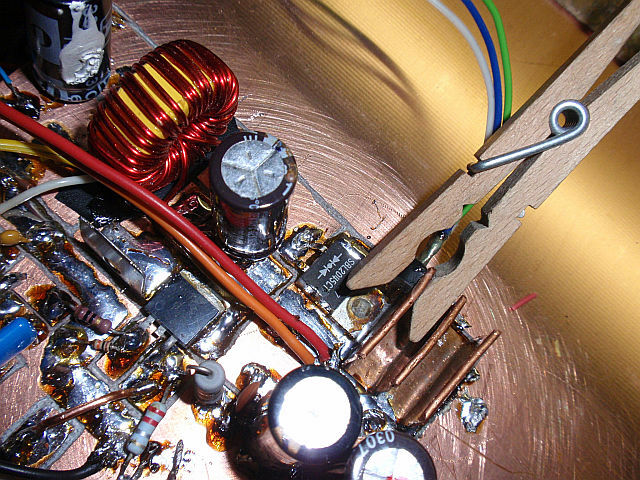 LM35 (no other letters), and LM35 measure in the full range of -55 to 150 °C. digital thermometer 2 to 150 °C: Figure 1 is the simplest schematic of thermometer with LM35 operating as a thermometer in the range 2 to 150 °C. Figure 2 is its adjustment to the transfer of 1mV / °C using a resistive divider. The circuit can be powered from voltage 4 - 30V. The circuit can be used as the measurement of ambient temperature, body temperature, temperature of various equipment, coolers, CPU, etc. Digital Thermometer -55 to 150 °C: Figure 4 is the simplest connection with LM35 as thermometer in the range -55 to 150 °C. Figure 5 is the adjustment to the transfer of 1mV / °C using a resistive divider. Negative temperature measurement requires a source of a small negative voltage to pin 3, which is applied to the second pin. Here the negative voltage is generated by voltage drop of two diodes (eg 1N4148). The circuit can be powered by voltage 5 - 30V (voltage drop of diodes increases the minimum required voltage of approximately 1V). The circuit has application where it is necessary to measure negative temperature, for example, when measuring the outdoor temperature, the temperature in refrigerator, freezers, when working with Peltier cells, etc. The resistance R is the sum of the set value P1 and the resistance in ohms of analog metr coil. The current I is the current of maximum deflection of the meter in uA. Schematic diagram of analog and digital electronic thermometer with LM35. 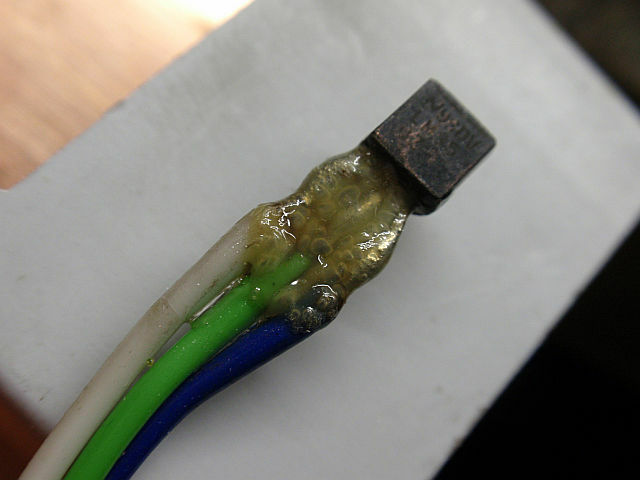 LM35 utilized to measure the temperature of heatsink in the switching converter. Digital temperature measurement of the heatsink. Analog temperature measurement of the heatsink.